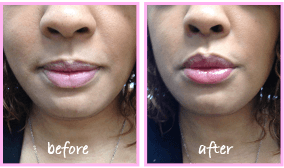 LifeCell Lip Plumping Treatment the first of its kind! 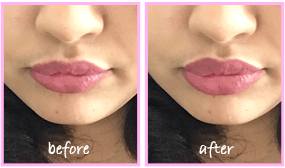 A scientifically proven way to get fuller lips without expensive and painful cosmetic procedures. 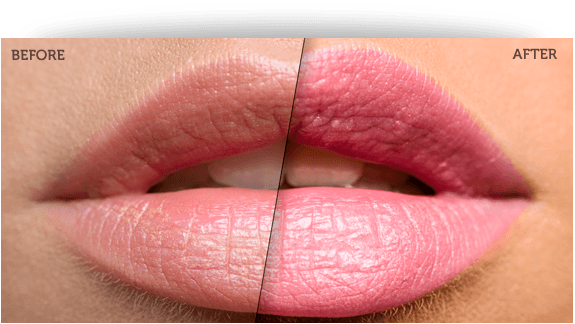 This semi­permanent treatment visibly increases lip volume leaving you with a fuller, sexier pout. Say goodbye to the idea of cosmetic injections! The latest breakthrough in lip enhancements is LifeCell Lip Plumping Treatment. The topical, surgery­free treatment contains Patented Natural Peptide Technology that stimulates collagen and hyaluronic acid production to plump and increase the fullness of your lips while at the same time keeping them smooth, firm, healthy and moisturized. Dermaxyl™ is an anti-aging, wrinkle smoothing and cutaneous barrier repair ingredient. It stimulates cell communication and then repairs the age related skin damage. A clinical study compiled of 10 women ages 22 to 40 with thin lips tested LifeCell Lip Plumping Treatment’s key ingredient found that when applied three times a day during 29 days increased lip volume by 40%! This is great! I used to smoke in my 20s and 30s and had little, wrinkled lips. This definitely smoothed out my lips and gave me an added "oomph" love it. Life cell makes the best lip products. my lips look so big right now its crazy!! Never gonna stop using this. Just before I was about to get injections I stumbled on this amazing product. I'm so happy I didn’t waste money on something so silly when LifeCell works just as well without the pain or cost. I'm always feeling like Kylie with my new lips thanks to lifecell lip plumper! 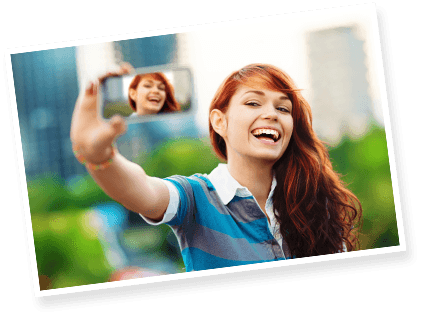 Check Out Before & Afters from Real Girls Like You! We all love a good selfie. Track your progress from DAY 1 and see the incredible difference! You’ll never have to make a silly duck face again. The expertly formulated blend of peptides stimulate natural collagen and hyaluronic acid production to activate cellular reproduction. Hyaluronic acid makes your skin cells bind and absorb water, which adds volume to the area. Young, plump skin has plenty of hyaluronic acid naturally, but as we age, our skin loses it and starts to become less plump and more wrinkled. LifeCell Lip Plumping Treatment is similar to the way lip injections work, but since you're applying it topically, the effect is pain-free! 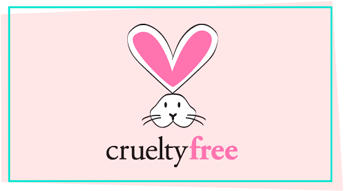 We love our furry friends and would never put them in harm's way. We make sure every LifeCell product is tested on pretty girls like you and neverv on bunnies, puppies or monkeys. NO LIP INJECTION HORROR STORIES HERE! LifeCell users are 100% satisfied with the look of their new fuller, poutier lips! -NO SURGERY OR INJECTIONS REQUIRED! You'll notice that if your lips were dry and had a wrinkly appearance they'll look smooth fuller and pouty after you apply LifeCell Lip Plumping Treatment. This product is nothing like the cinnamon-y lip plumpers that sting and irritate your lips, causing them to swell and in some cases even hurt. This treatment works instantly by giving a subtle “plump” but the real magic happens after just 1 week! 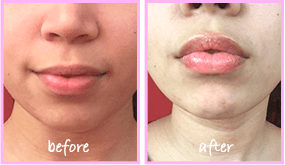 Using as directed you’ll see your lips look significantly fuller in just 7 days! In one month you’ll have the lips a plastic surgeon would be proud of!